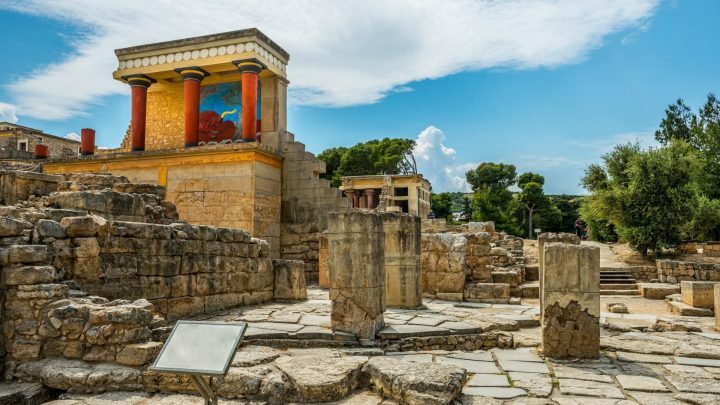 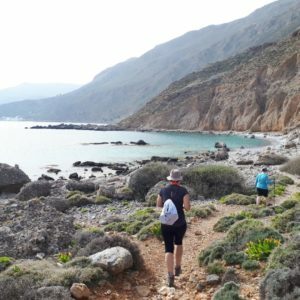 The southern coast of Crete hides a unique, magical atmosphere and boasts one of the most authentic parts of the island. 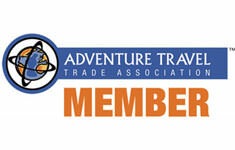 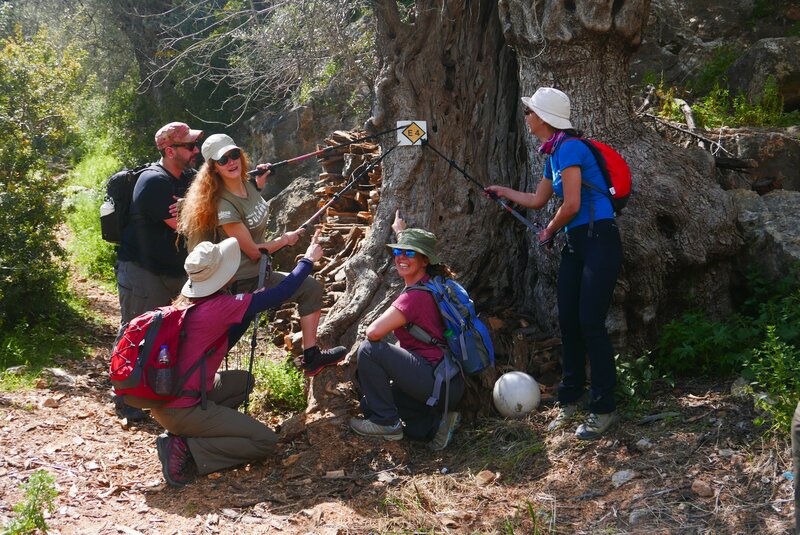 The aim of our 2 day adventure is at a limited time to show you some of the areas highlights. 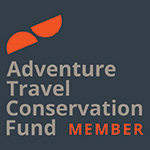 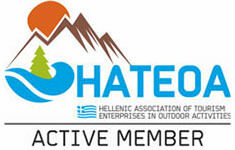 We will paddle and hike in an epic route, part of the European Trail. 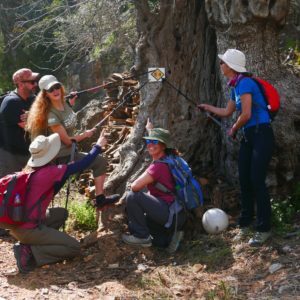 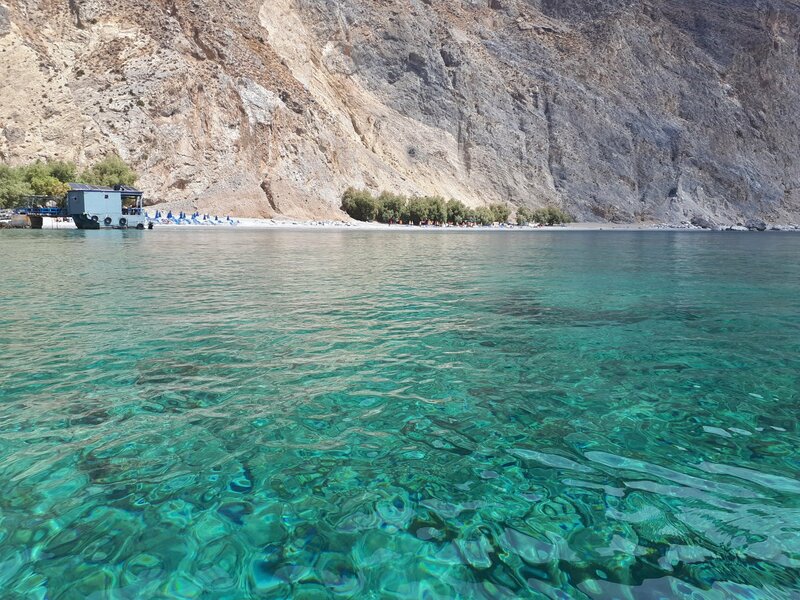 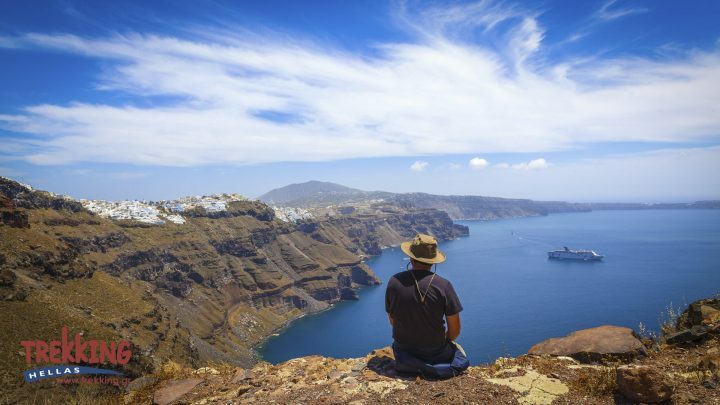 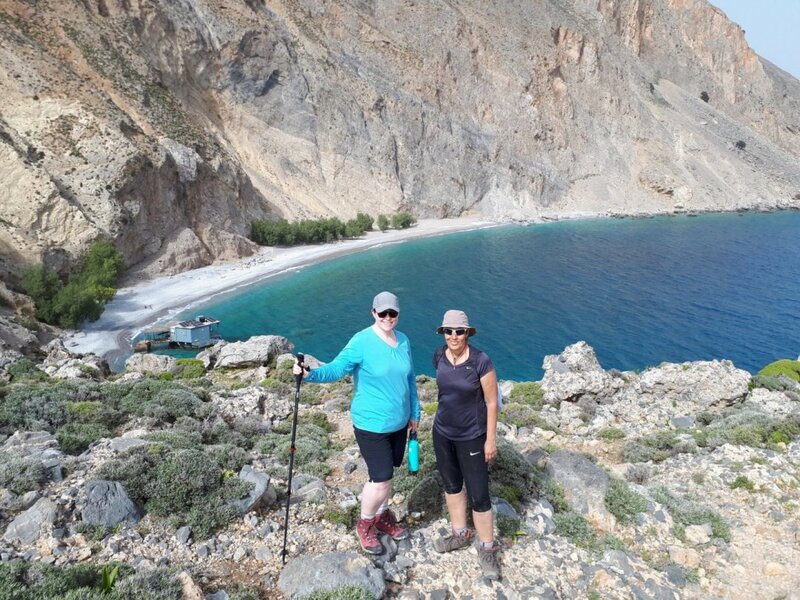 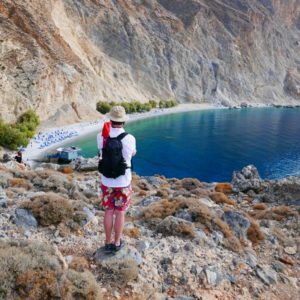 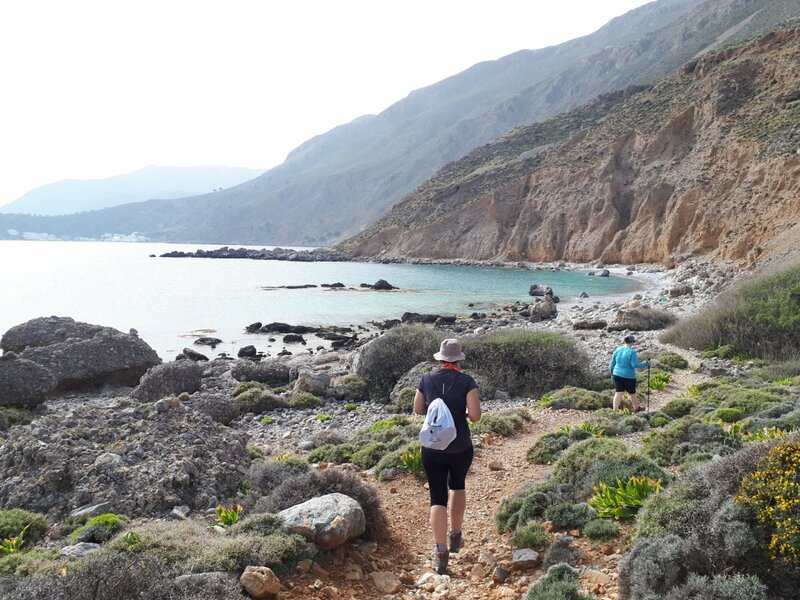 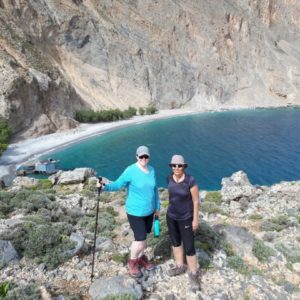 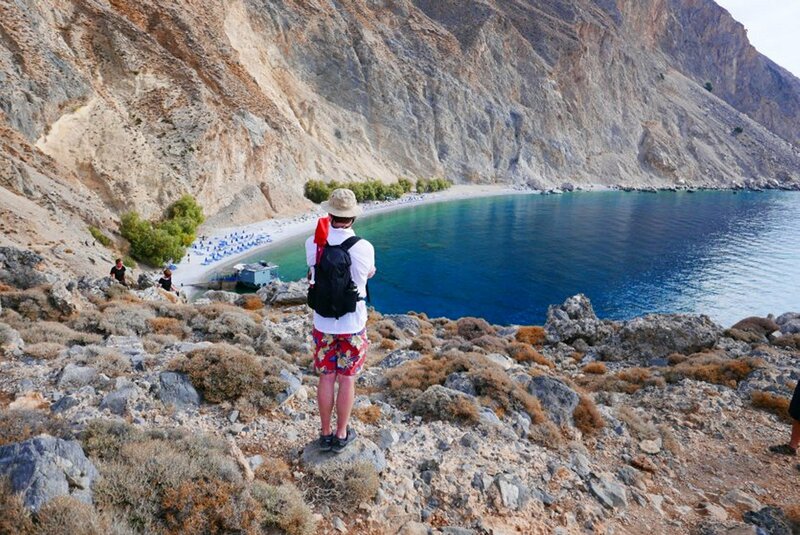 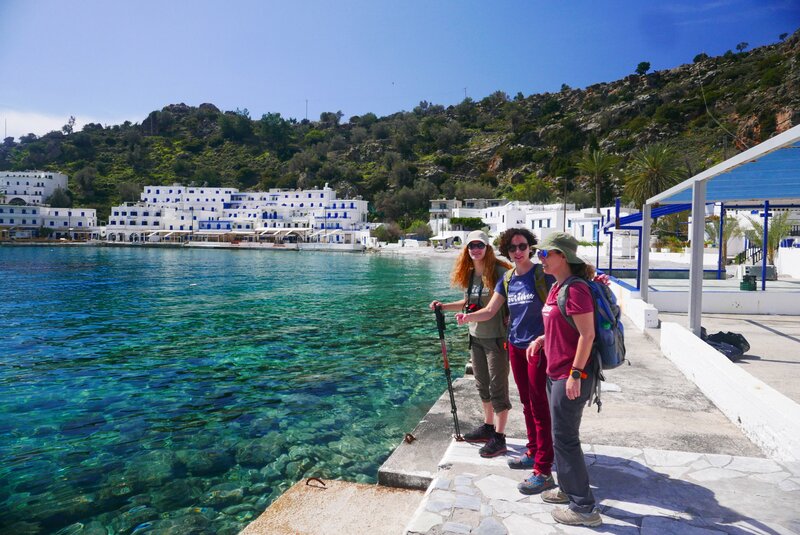 The tour can be extended with further hiking to Marmara beach or some extra time and relaxation in the picturesque sea front village of Loutro. 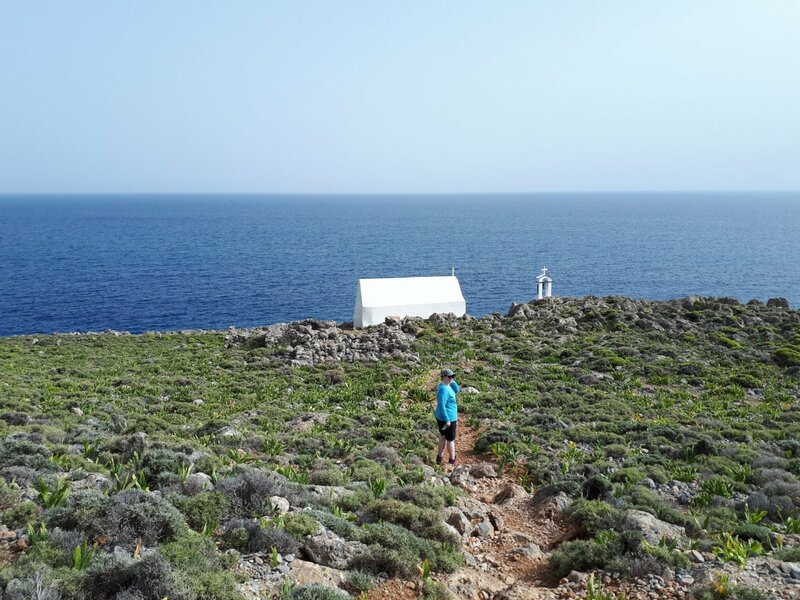 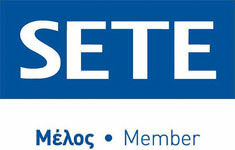 Depart early in the morning from your previous location in Crete (Chania, Heraclion, Rethymnon) and transfer to the seaside town of Sfakia. 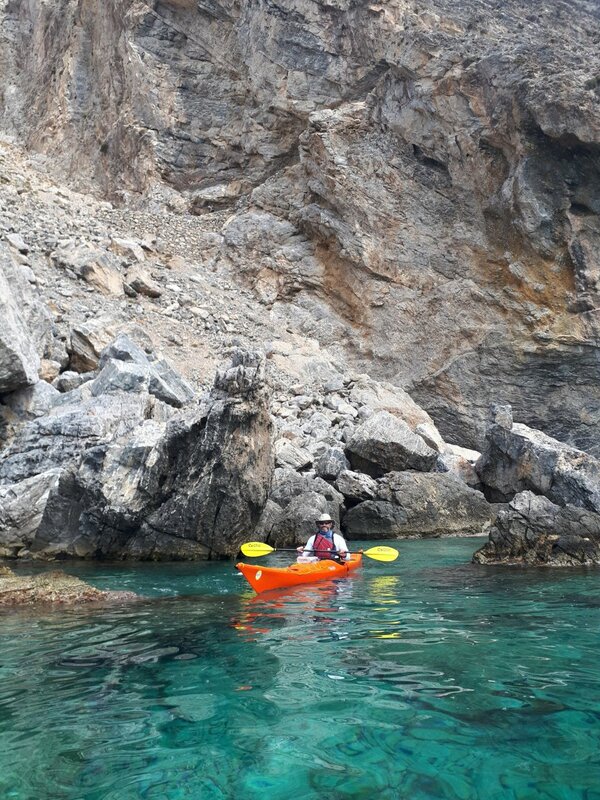 After a short rest and refreshing drink, we will embark our sea kayaks for today’s adventure. 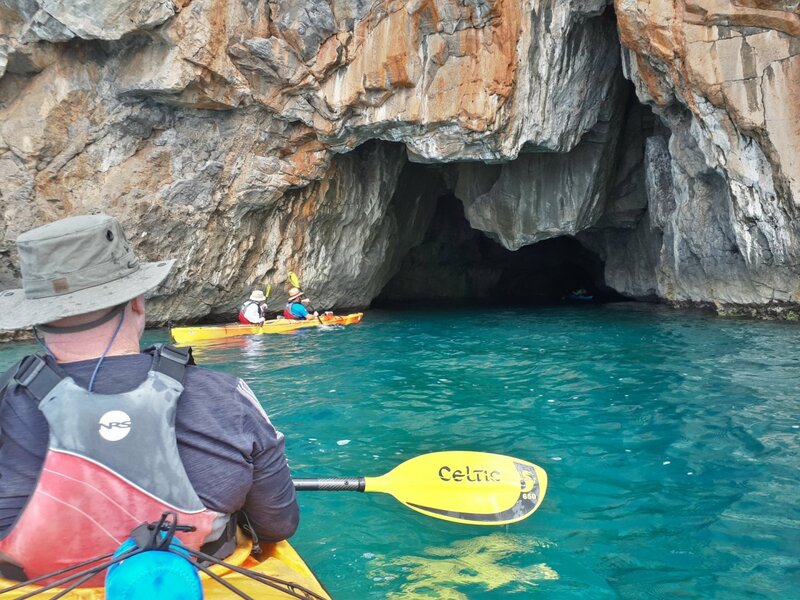 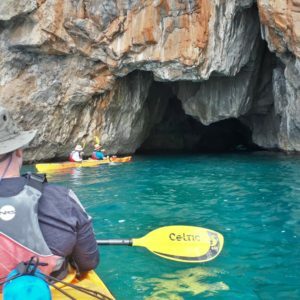 We will enjoy a marvelous route passing by numerous sea caves and amazing rock formations. 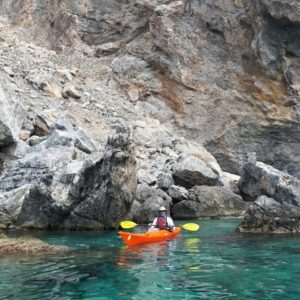 We will admire the vertical cliffs of the marvelous beach of Glyka Nera “sweet water” whilst approaching with our kayaks. 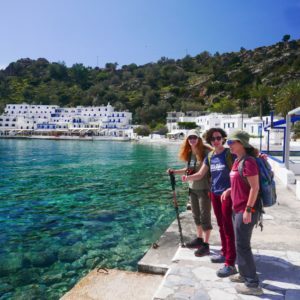 Here we will make a stop for swimming until we continue to our overnight location the sea front settlement of Loutro, one of the few places in Greece that can be approached only by sea or walking. 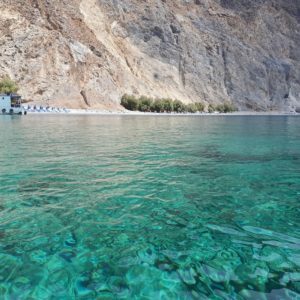 Overnight in Loutro.